While there are several stabilizer solutions for iPhones and Androids on the market, including the favorite EZ-Steady from Rhino Camera Gear, the best tend to be big, add weight, and retail for $300 or more. It's worth it when expectations are professional, but those expectations don't always have to be. Sometimes you want to grab up a small piece of gear to go. Or maybe you need a handy mount for more spontaneous moments, when there is no time to balance counterweights. This is why SlingShot by Woxom caught our eye. As a lightweight stabilizer solution for under $20, it was worth taking a shot. The SlingShot gets the job done. The SlingShot is an incredibly simple and impossibly smart solution for the iPhone, Android, and other smart phone cameras. All you have to do is slip the device into the lightweight plastic cradle. 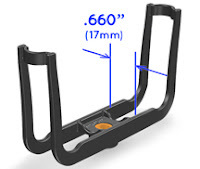 The cradle fits snugly, locking the device in place by rubberized plastic on either side. The rubber over molds grip the device tightly enough that you can turn it upside down and shake it. It will stay firmly in place (although I don't recommend tempting fate). The lightweight plastic is also flexible, allowing the SlingShot to expand for larger devices and negating the need to remove the cover. The cradle comes mounted onto an adjustable plastic handle, allowing for one-handed control and a steadier hand for shooting video. This makes it much easier to rotate the camera without having to move your entire body in every instance. You only need to turn your wrist or arm. Or you can turn your wrist and then move into the shot, which creates a nice lead-in before turning your body. Panning up and down is easier too. Instead of bending your legs or back to adjust for height, the SlingShot accommodates your wrist and arm. Less body movement means more fluidity and less shake in the shot. Just don't mistake this gadget as a steady cam for walking shots (although it is better than no assist at all). Some design foresight adds gadget functionality. 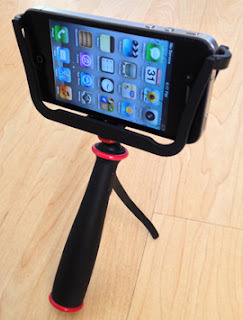 The handle contains two plastic arms that fold out, turning the SlingShot into a tabletop tripod. The tripod feature has multiple purposes. It can be used for static shot time lapse film; angled for more talking head flexibility for FaceTime, Facebook, Skype, or talking head shots; or even help hold the camera still while taking a night shot. The fold-out arms are made of light grade metal. Even smarter, the developers had the foresight to make sure the cradle could be unscrewed from the handle and screwed onto any universal professional tripod. As long as the tripod has a 1/4-20 thread, it will work. This feature alone makes the SlingShot a great find for anyone who uses their phone as their primary camera or video camcorder. There are a few areas where the SlingShot can improve. Keeping in mind that this is a low-cost solution, some of the savings caused cheapness. It's functional, but not necessarily durable. While this doesn't detract from the cradle, it does detract from the handle. Because the handle is made from lightweight plastic, the SlingShot is top heavy with a phone. Had the handle been made out of lacquered wood, ceramic, or heavier plastic, it would balance out the weight of the phone better. Even a rubberized grip would have made sense and added density. While this won't impact your shot, it is worth knowing. Likewise, the SlingShot won't replace a professional steady cam. It was designed to add flexibility and stabilize mostly stationary photographers and videographers. While you can move around, maintaining a steady hand is your responsibility. A few graphs about creator Charles Waugh. 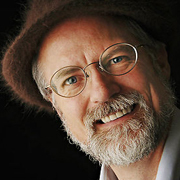 The inventor is a professional photographer, engineer hobbyist, woodworker, and artist. He has a 3-acre parcel of land in Portland, where he has built a successful portrait studio over the last ten years. There is little doubt that Waugh is a likable, creative and inventive guy. But that's not to say he didn't have some bumps along the way while bringing the SlingShot to market after a successful Kickstarter campaign. There were dozens of delays in production and shipping, months of pushbacks. Waugh was good enough to keep people updated, but even his considerable warmth (and beautiful dogs on one occasion) became annoying — especially with the last "mixup" when he decided to send the first shipment to sellers and select reviewers ahead of backers and backer reviewers. We can only hope he fixes these customer service and shipping issues for long-term success because the gadget is well worth it. The SlingShot by Woxom Shoots 4.8 On The Liquid Hip Richter Scale. There are some concerns with the long-term durability of the SlingShot, specifically in the handle but perhaps not the cradle (with exception to the seams between the rubber and plastic). However, Woxom overcomes this with an impossibly reasonable price. If it breaks, it only takes $20 to replace it. The SlingShot will have some other hurdles to overcome too, especially because its name (while clever) is universally known as something else. You can find the Woxom Slingshot on Amazon and direct from Woxom. Ignore any early reviews that don't distinguish a stabilizer from a steady cam as the SlingShot is the former and not the latter. It gets many jobs done for 10 percent of the cost of a steady cam.